Las Vegas. Michael Raelert has fought hard for his finish in eighth position at the Ironman 70.3 World Championship at Lake Las Vegas in Henderson. The 32-year old World Champion of 2009 and 2010 was frustrated after he had crossed the finish line in 4:03:11 hours due to a very dubious penalty on the bike. But he especially congratulated his german fellow Sebastian Kienle, who won the title because of an extraordinary performance on the bike and during the run. Kienle won the World Championship in 3:54:35 hours ahead of the defending champion, Craig Alexander from Australia, and Bevan Docherty (New Zealand). “Great respect for Sebi", Michael Raelert said, "he has shown a phenomenal race." The double world champion was in a comfortable position when he felt himself robbed the chance to fight for the world title. Michael Raelert came out of the water after 23:30 minutes in a promising sixth place. After the 1.9 kilometer swim in Lake Las Vegas he was only 14 seconds behind the Australian Josh Amberger, who had managed to escape a littlebit from the pursuers together with Andy Potts (USA) and Australian Clayton Fettell. "My swim was good", Michael Raelert said. His performance in the water was comfortably matching to his race plan, and he took over the initiative on the bike soon. After a fast first transition the co-favorite from Rostock went into the leading position of the outstanding pro field just after ten kilometers of the bike. "I felt really good", he described his move on the first few miles through the hot desert of Nevada. At a fast pace on the bike Michael Raelert became soon part of a group of twelve riders including many of the top favorites. But after almost 25 kilometers the decision of a referee was a shock for Michael Raelert: "He gave me a penalty", he said, "it was like a bolt out of a clear blue sky. I am totally convinced that I drove correctly, absolutely according to the rules." Shortly after the half of the bike course, Michael Raelert stopped his bike ride angrily at the penalty tent to serve the penalty of four minutes. When he was allowed to get back on his bike again, it was not more possible for him to reach a top result in this tough race. "But I really wanted to finish and bring the race to its end – despite all the frustrations", he explained later. 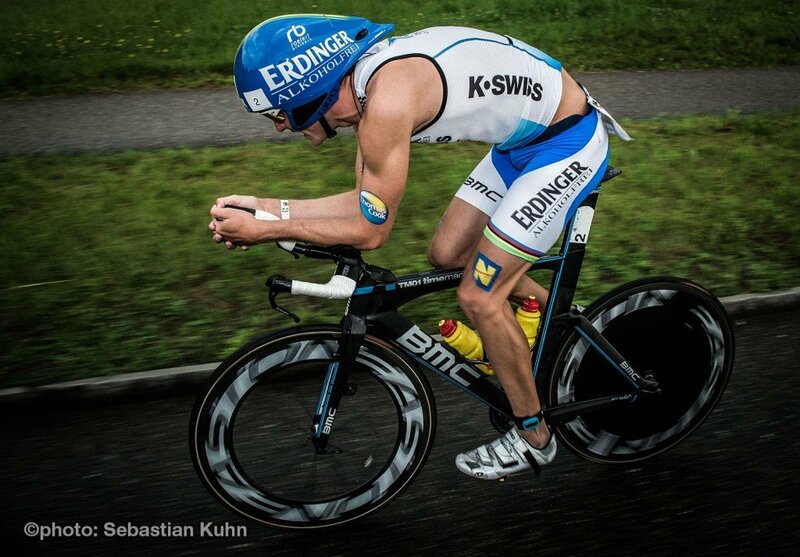 He reached T2 in 18th position with a bike split of 2:19:30 hours and a gap of more than seven minutes to the leaders. Michael Raelert started into the final run after the quickest time in T2 and with the fastest first mile of the entire pro field. The two-time World Champion ran the half marathon under relentless heat in 1:17:05 hours and far forward in this tough field. "I’m glad that there is at least a top-10-result", he said after his eighth place, "but, it will take a while until I'll have overcome this race."